Ships today if you order in the next 11 hours 31 minutes. 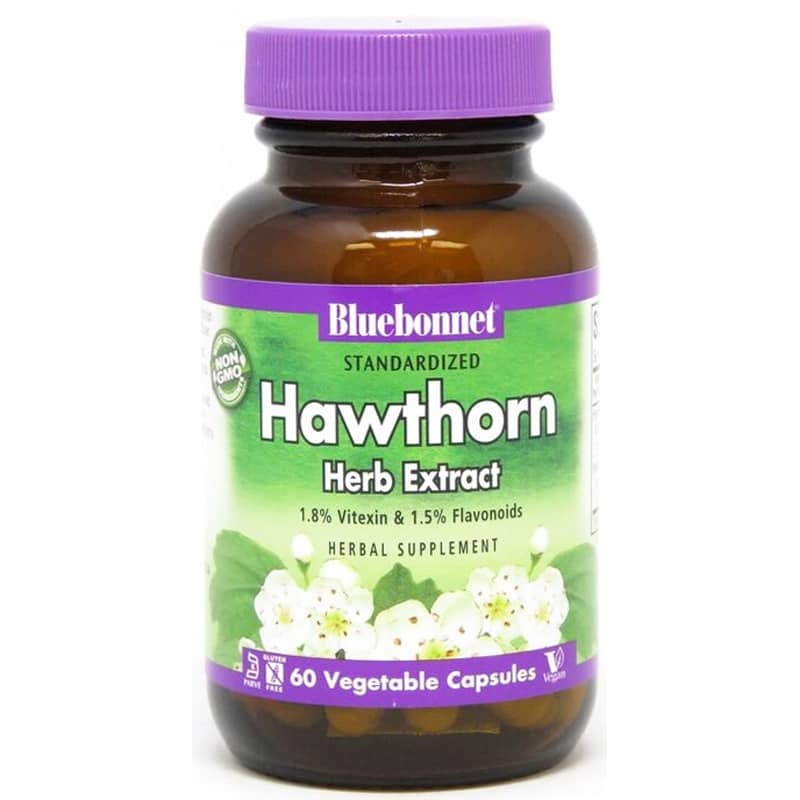 Hawthorn Herb Extract from Bluebonnet is a botanical-based dietary supplement containing hawthorn leaf, flower and berry extracts that promotes antioxidant and cardiovascular support in convenient, easy-to-swallow vegetable capsules for maximum absorption. Hawthorn is a dense flowering shrub that is native to Europe and parts of Africa and Asia. The plant is believed to be a good source of antioxidant phytochemicals, especially from hawthorn flower extracts. The fruit of the hawthorn, which resemble red berries, is edible raw and often used to make jellies, jams, syrups and brandy. Hawthorn leaves that are harvested in spring are tender enough for use in salads. These plant parts have been used in traditional herbalism as far back as the Middle Ages and in first-century Greece to support healthy cardiovascular and circulatory function. Using a gentle and water-based extraction method, the herbal supplement contains standardized extracts of flavonoids and vitexin, the most researched active constituents found in hawthorn. 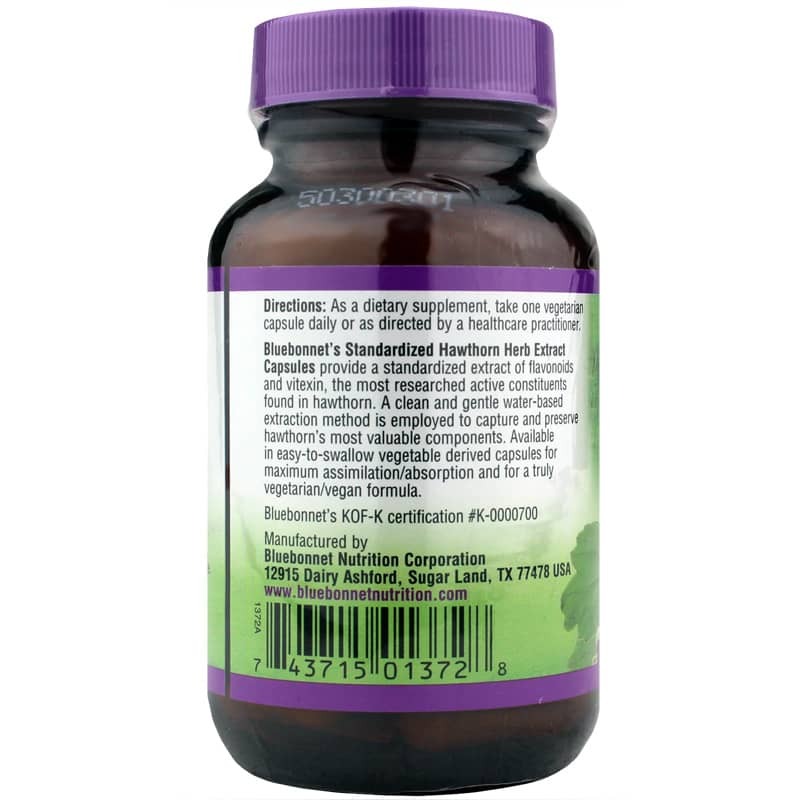 If you’re looking for a botanical-based blend of standardized extracts for potential cardiovascular, circulatory and antioxidant support, order Hawthorn Herb Extract from Bluebonnet, and experience the results for yourself! Contains NO: milk, egg, fish, crustacean shellfish, tree nuts, peanuts, wheat and soybeans. Also free of yeast, gluten, barley, rice, sodium and sugar. Adults: As a dietary supplement, take 1 vegetarian capsule daily or as recommended by a healthcare professional. 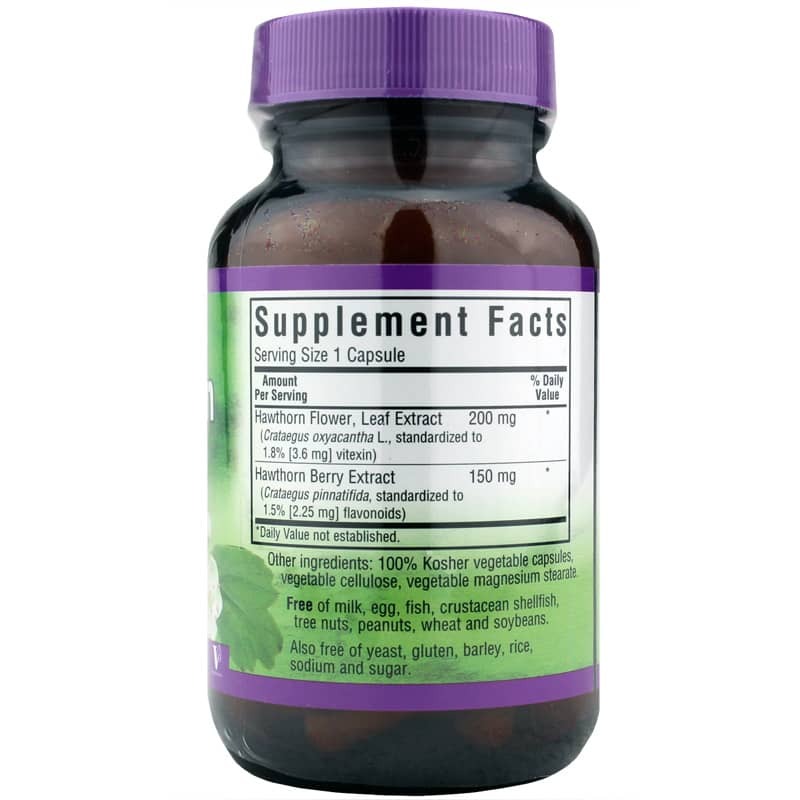 My husband loves this product - since taking these herbs, his blood pressure is excellent and he feels wonderful.